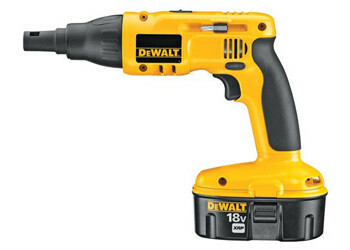 Dewalt Heavy-Duty 18V Cordless Drywall/Deck Screwdriver Kit. Dual speed ranges (0-900/0-2,900 rpm); high speed for drywall, low speed for decking. Depth sensitive "set and forget" nosepiece for consistent fastener depth.